As many marathoners/wrestlers/MMA fighters can attest to, the time right after a huge weight cut is to do some heavy duty carbo loading. Why? To regain your lost energy and weight in as short amount or time as possible. During this period, large amounts of bread, pasta, wheat products are voraciously consumed in an effort to replenish any lost energy.Taking this concept to heart, the owners at FREDS Cafe & Bakery figured that if we mix bread with pasta, you could double the amount of energy. That’s how that works right? 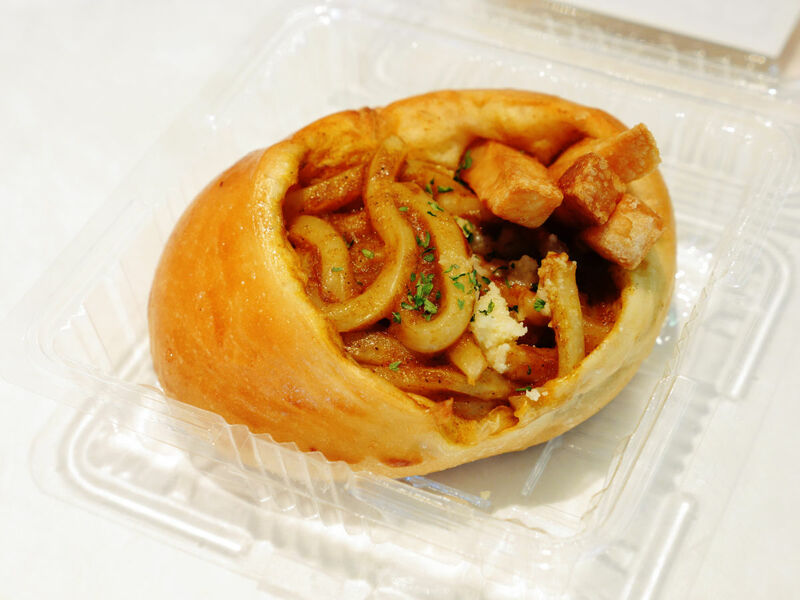 Anyhow, my own bad jokes aside, the “Potekare Udon Bread” was spotted at FREDS CAFE in the Umeda district in Osaka. 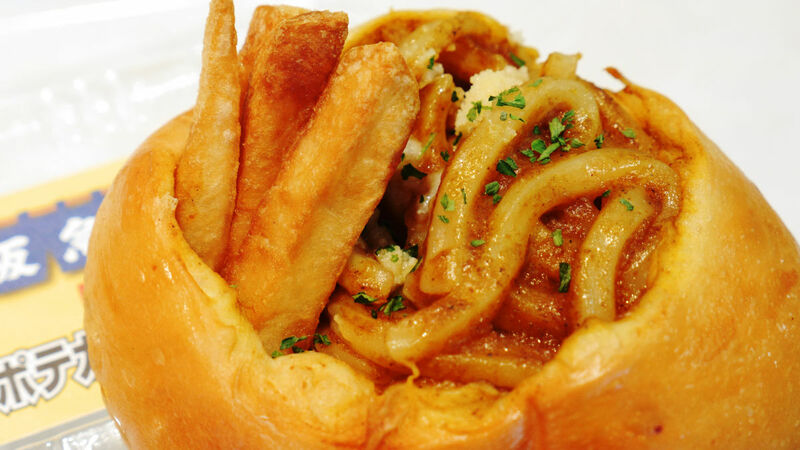 For those not in the know, the Potekare Udon Bread is just what the name implies. 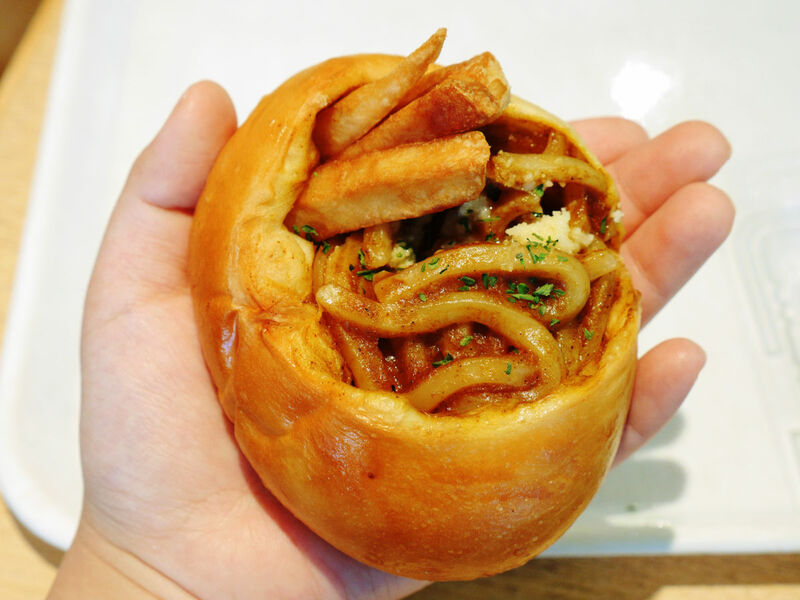 A double carb loaded bread that is loaded with udon and french fries. For anybody who is running low on energy(or whose blood sugar level is inexplicably low) this bread is your savior. For anyone who has ever visited Japan, stuff like this should come as no surprise. 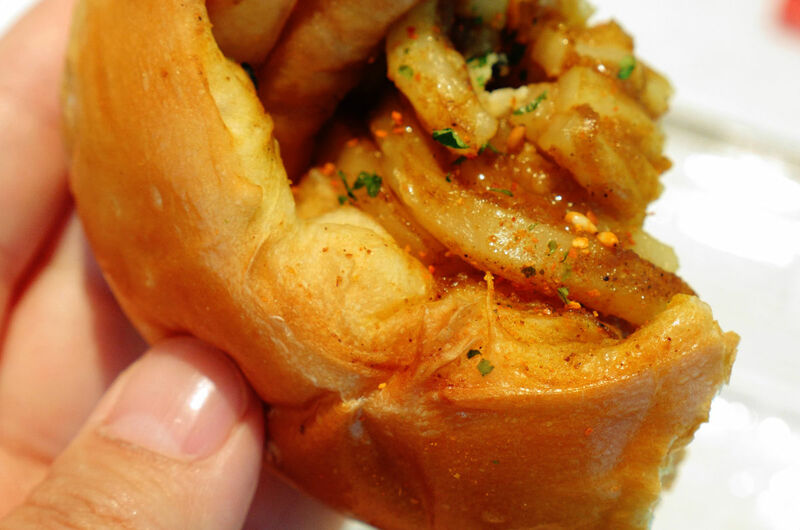 I mean, you can already buy sandwiches filled with noodles throughout convenience stores in Japan. Personally, I have tried them before. Something about biting into bread only to be met with another mouthful of bread makes this something I’m not truly a fan of. But hey, for people who just can’t get enough carbs, this is your shizzle. This seems to be a limited time promotion in select locations in Umeda(Osaka), Ibakari, Sonoda, Nishinomiya and Sannomiya. 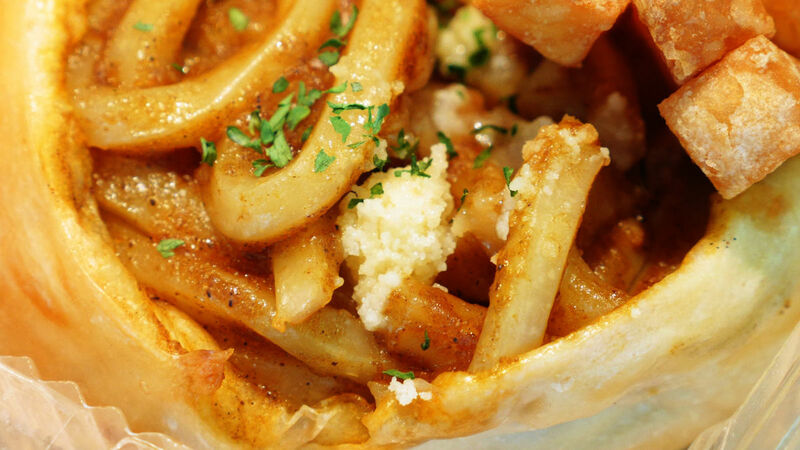 So if you find yourself in and around Japan, hop into a FREDS Cafe to scope yours out today.